What is activated charcoal and why should you choose to add it to your skincare regime? Activated charcoal is charcoal that has been specially treated to become extremely porous and adsorbant. Ad-sorbant materials have a charge that actually attracts and binds other molecules to itself (as opposed to ab-sorbant materials, which draw particles in but do not bind them). This means that activated charcoal attracts impurities away from your skin and binds them within its pores so, when the charcoal is washed away, skin-damaging particles go down the drain along with it. 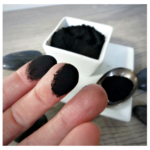 What does activated charcoal adsorb from your skin? Excess oil, bacteria, toxins, and more! Anyone! Activated charcoal is one of few “active” ingredients that is truly good for all skin types. It can help calm acne-prone skin by adsorbing excess oil and blemish-causing bacteria. However, it leaves no residue and will not irritate nor alter the pH of dry, sensitive skin (unlike many other cleansers). Also, activated charcoal powder is a gentle exfoliant, which helps remove and wash away dead skin cells to reveal your naturally radiant, glowing skin! What makes Soap Alchemy’s activated charcoal products special? Each ingredient in Soap Alchemy’s products has been hand-selected by our Alchemist for both maximum benefit to the skin and minimum impact on our environment. This commitment to quality and ethical production extends to our activated charcoal. Soap Alchemy uses only USP (United States Pharmacopoeia) grade (medical grade) activated charcoal. This means that one could actually ingest the charcoal without harm, as it is free of the heavy metals and other toxic materials found in lower grades of activated charcoal. It is vegan-friendly (contains no animal products, such as the bone char used in some activated charcoal) and is sustainable because it is made from coconut shells that would otherwise be considered waste. Additionally, our Alchemist has chosen to use a very finely powdered form of medical grade activated charcoal, which has a greater surface area (so it adsorbs the more debris from your skin more quickly) and is smooth to the touch as compared with larger grains. Piqued your curiosity? Great! Let’s take a closer look at activated charcoal, what it is, how it’s used, and why it could help your skin. Charcoal [is an] impure form of graphitic carbon, obtained as a residue when carbonaceous material is partially burned, or heated with limited access of air. […] The use of special manufacturing techniques results in highly porous charcoals that have surface areas of 300–2,000 square metres per gram. 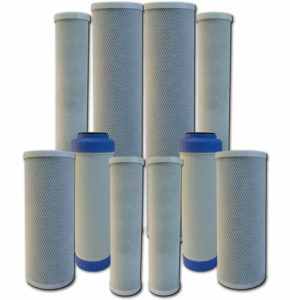 These so-called active, or activated, charcoals are widely used to adsorb odorous or coloured substances from gases or liquids, as in the purification of drinking water, sugar, and many other products, in the recovery of solvents and other volatile materials, and in gas masks for the removal of toxic compounds from the air. Activated carbon is a carbonaceous, highly porous adsorptive medium that has a complex structure composed primarily of carbon atoms. The networks of pores in activated carbons are channels created within a rigid skeleton of disordered layers of carbon atoms, linked together by chemical bonds, stacked unevenly, creating a highly porous structure of nooks, crannies, cracks and crevices between the carbon layers. 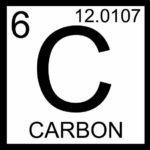 Carbon’s atomic number is 6. Its symbol is C, and its atomic weight is 12.01. It is also one of the most abundant elements in the universe and is a primary building block for life on Earth. Carbon is an extraordinarily versatile element: arrange the atoms one way, and you have the soft graphite used in writing pencils; arrange them in another, and you have the hardest known natural material: a diamond. You may even recall lessons on the Carbon Cycle from high school science classes. Briefly, carbon is constantly being recycled among various lifeforms. Carbon (in the form of carbon dioxide or CO2) is released by animals during respiration and by the burning of fossil fuels. In turn, it is converted back into organic matter by plants and trees during photosynthesis. At this point, you may be asking yourself what on earth any of this has to do with skincare… but being aware of carbon’s versatility is key to understanding how our Alchemist is able to turn a dirty-looking black powder into a wonderfully effective cleansing and purifying agent! As mentioned above, Activated Charcoal is a highly porous and adsorbent material that is commonly used in various applications to remove odors, toxins, chemicals, and other impurities. 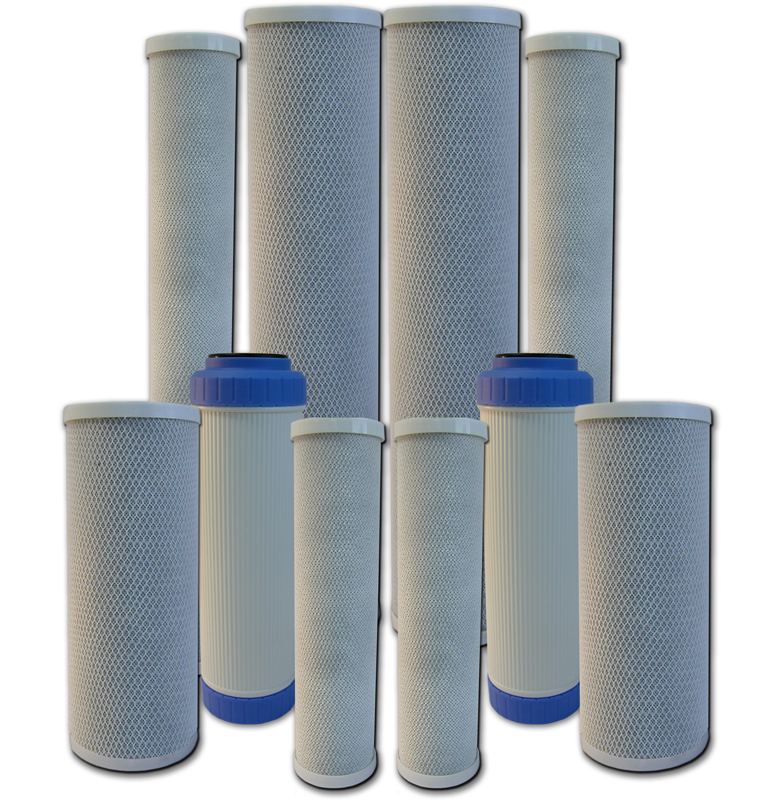 For instance your home water filter may contain activated charcoal (carbon) granules, which trap unpleasant odors, chlorine, VOC’s (volatile organic compounds), and sediment, effectively removing them from your drinking water. Hospitals, on the other hand, use a very high grade of activated charcoal in pill, capsule, or slurry form, to treat poisoning and overdoses. Again, the carbon draws the toxins into itself so that they can pass through the body without causing harm. To understand how (and why) this works, you must know the difference between an absorbent and an adsorbent substance. An absorbent material, like a towel or a clay flower pot, draws moisture into itself but then later expels it, whether manually (by wringing out the towel) or simply through evaporation. On the other hand, an adsorbent material, such as activated charcoal, has a charge that attracts and binds other molecules to itself. These tiny particles remain attached to the carbon and are removed (as from a water filter or from the body) along with the charcoal. Adsorption is the attachment or adhesion of atoms, ions and molecules (adsorbates) from a gaseous, liquid or solution medium onto the surface of an adsorbent – activated carbon. The porosity of activated carbons offers a vast surface on which this adsorption can take place. […] These molecules are then trapped within the carbon’s internal pore structure by Van Der Waals Forces or other bonds of attraction and accumulate onto a solid surface. How great of a surface area are we talking? Haycarb explains, “The surface area of activated carbon is impressive, 500 to 1500 m2/g or even more; a spoonful of activated carbon easily equates the surface area of a soccer field.” Just imagine how effectively an adsorbent material with such a considerable surface area could remove impurities from your skin! You should be aware that there are various grades and types of activated charcoal, which affects how it can be used. For example, some activated charcoal (such as that used to process white sugar) is commonly made from animal bone and is called bone char. Also, lower grades of activated charcoal may contain toxins such as lead and mercury… which may be acceptable for some applications, but not for others. Soap Alchemy uses only vegan-friendly USP (United States Pharmacopoeia) grade (medical grade) activated charcoal which is made from coconut shells. 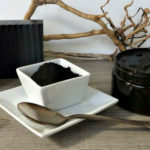 This means that one could, in fact, ingest the charcoal without harm, as it is free from the heavy metals and other toxic materials found in lower grades of activated charcoal. Soap Alchemy’s USP grade activated charcoal is so finely powdered that even just gently dabbing your fingers into it will leave them completely coated. Though it will clean up with soap and water, the raw material is extremely messy to work with! Finer sizes accelerate diffusion rate of the adsorbates into the pores, hence improves kinetics, but wettability/filtration on powders, pressure drop or screening problems with granules, are limiting factors. Therefore particle size range and distribution selection is a compromise. Fortunately for us, the disadvantages of powered activated carbon don’t apply to our purposes, as we intend for it to be massaged onto and then washed off of the skin rather than contained within a filter. Because our Alchemist has chosen a finely powdered form of activated charcoal, we get the kinetic advantage of quicker adsorption speeds without any real downside. In fact, we also gain the advantage of its gentle exfoliant properties. Soap Alchemy uses only USP (United States Pharmacopoeia) grade (medical grade) activated charcoal. This means that one could ingest the charcoal without harm, as it is free of heavy metals and other toxic materials found in lower grades of activated charcoal. It is vegan-friendly (contains no animal products, such as bone char) and is sustainable because it is made from coconut shells that would otherwise be considered waste. Additionally, our Alchemist has chosen to use a finely powdered form of medical grade activated charcoal, which has a greater surface area (so it adsorbs debris from your skin more quickly) and is smooth to the touch as compared with larger grains. This USP grade activated charcoal powder is a primary ingredient in Soap Alchemy’s Shea Butter Black Soap, Facial Detox Scrub, and our upcoming Activated Charcoal Mask. In our next article, we will discuss how the addition of activated charcoal can enhance the cleansing properties of a soap and describe the best techniques for using products that contain activated charcoal effectively. This entry was posted on Monday, March 27th, 2017 at 6:21 pm and is filed under Featured Ingredient. You can follow any responses to this entry through the RSS 2.0 feed. You can leave a response, or trackback from your own site.